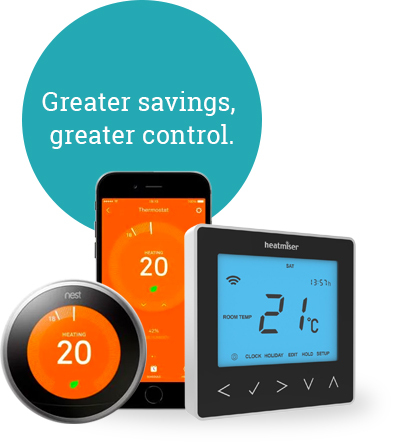 For greater energy savings and control of heating and hot water we recommend customers switch to Smart Thermostats. These state of the art controls enable you to control your heating and hot water, from literally anywhere. Nest Learning Thermostats even adjust themselves according to your daily routine, getting to know the temperature you like at any given time, creating your own personalised schedule of heating and hot water. It’ll switch off the hot water when you go out and turn off the heating when you’re away on holiday.